We manufacture overhead cranes and bridge cranes that offer exceptional reliability and dependability at competitive prices. Motivation manufactures overhea cranes for self-installation or as a complete package, including installation, depending on your preference. 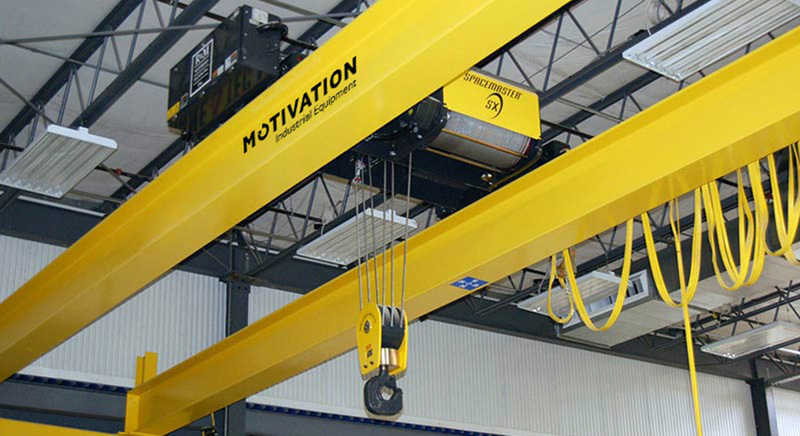 Contact an expert Overhead Crane Specialist for a free, no-obligation assessment of your facility. Perfectly suited to areas with low ceilings where maximum hook path must be achieved without the need for serious modifications to the existing building. 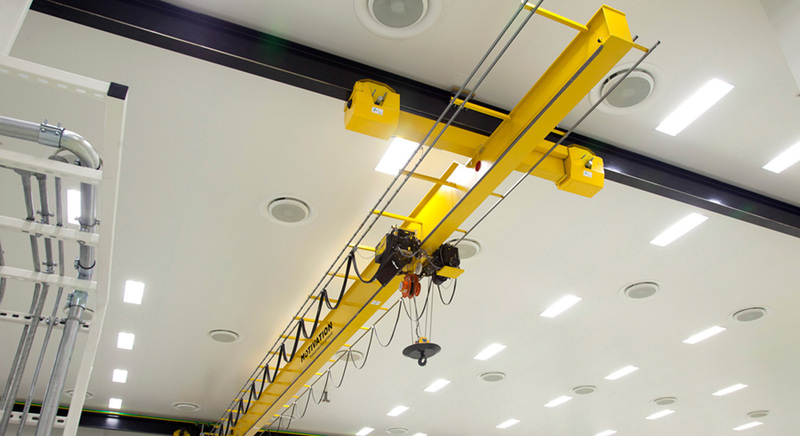 Under running cranes can be suspended directly from the roof structure or other overhead beam. Something unique to under running cranes is their ability to make full use of the available height and the tight space. They can ensure efficient material handling even in plant where very little space is available. Able to work at high levels of intensity, they’ll take the stress out of processes and increase productivity, lifting loads of up to 75 tons. 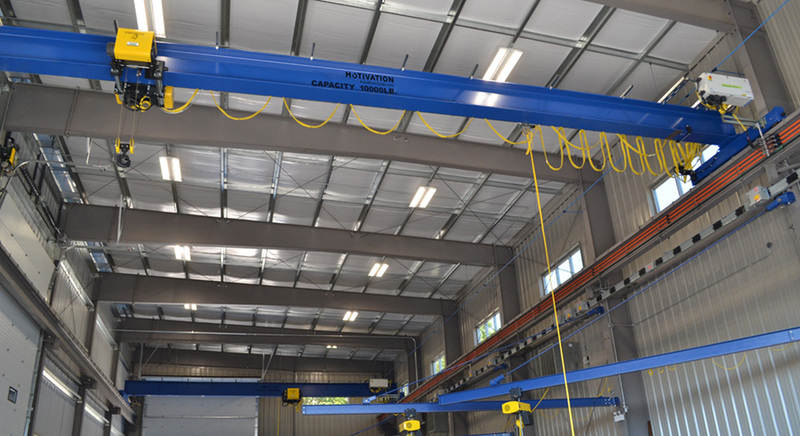 Double Girder Overhead Cranes are suited to all kinds of buildings and spaces and can be built to fit your existing building.